Home building contractors can make building a new home both a great and fulfilling experience, or make it a great big headache. If you hire our home remodeling contractors to build your new home, you can be sure it will not be a headache! You have been dreaming about this new home for years and you know just what you want. You have put a lot of hard work into making this happen, and we know how important it is. Our years of experience as home remodeling contractors make us the top choice as a home building contractor as well. We excel at custom designs and specifically making the design exactly how you want it. From the basement to the roof and everything in between, our home building contractor is ready to take that picture in your mind and turn it into the real thing. Consult with our design experts today to make it happen! When you sit down with a home building contractor to go over the design, you need to be sure that your idea is the central factor in the process. You can be very sure of that with us. Whether we are serving you as a home remodeling or home building contractor you can be certain that what is most important to us is getting it just the way you want it. The advantage to custom design is that if it is done right, you get exactly what you have been dreaming of. Communicating with you is vital to the process, because in order to build your dream, we have to know your dream. We want to work with you, so let’s start talking about it right away. As an experienced home building contractor, we take a lot of pride in our work. That pride is tied to our ability to design exactly what you are looking for. Our owner is personally involved in the design process, and will help you explore all your ideas. You can be sure that he will be hands-on with you and your new home to make sure we get it right. We all know that if your home building contractor does not keep you updated, this process can be very stressful. Let us be there for you to make sure this is a great experience. 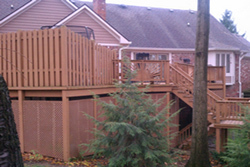 For your confidence, we are licensed and insured. Whether you need some home remodeling, a significant addition to your house, or an entire new home, we are the home building contractor of choice. Let our design and construction experience work for you. There is no need for this time to be stressful. Instead, make the building of your new home a great experience that you cherish for the rest of your life in your beautiful new home. 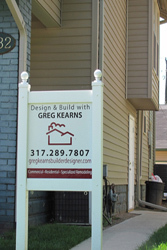 We are home building contractors in Carmel, Fishers, Noblesville and surrounding areas.